A Mohawk who thought he was the rightful king of France, an Anglican priest who could barely speak English and – just maybe – the assassin of Abraham Lincoln: what do these three men have in common? Not much, perhaps, except the Montreal air they breathed. From Montreal's founding nearly four centuries ago down to the present day, an astonishing range of people have trod the city's streets. Priests and princes, heroes and the humble, financial wizards and outright fools – all have their stories to be told. Here we have no ordinary history of Montreal. Instead, with this account of spies, zealots, royal tourists, people on the brink of death, and many others besides, something different emerges. It's a portrait as colourful as the city itself. 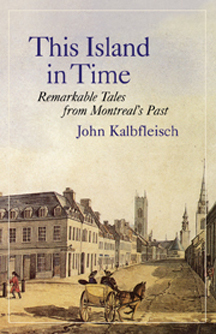 John Kalbfleisch is a long-time Montreal journalist. Second Draft, his weekly column on the city s history, appears in The Gazette. He lives near Perth, Ontario.